Scoop Sanderson, intrepid reporter for Main Street has stopped pin trading. Say it ain’t so, Scoop! Unfortunately, the rumors are true. According to the Scoop Sanderson Trading Times Facebook page, he’s got too much to report and is hanging up his lanyard. 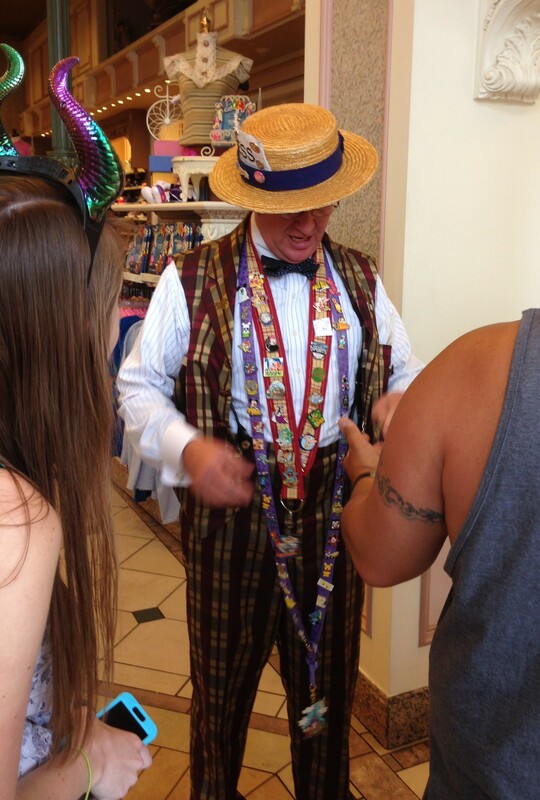 That information was confirmed by a cast member we encountered on our Christmas vacation (December 2015) who said that Scoop had recently stopped trading pins with guests but could still be found wandering Main Street with the other characters. Without his renowned lanyard, it won’t be the same for pin-thusiasts around the world. Disney has systematically been pulling back its support for pin trading and Scoop is another example of that withdrawal. At Disneyland, they first pulled the pin trading barrels away from Westward Ho (one of the primary pin stores) and moved them to Big Thunder Ranch where they slowly disappeared. Then they removed the pin trading tables away from the Little Green Men Store Command in Tomorrowland, reportedly because of problems they were having with pin traders. At Walt Disney World the only pin tables they’ve had for a while were at Epcot, but those have disappeared also. And now, Scoop has hung up his lanyard as well. What made Scoop so fun to trade with (other than the fact that he’s a nice person) is that Scoop often had some really great pins. Like all Disney cast members, you could only trade two pins a day with Scoop, but he always wore two lanyards – a REALLY long one with lots of Hidden Mickey pins on it and a shorter one with Limited Edition (LE), Artist Proof (AP), and Pre-Production (PP) pins. Those are much harder to come by and Scoop in particular had a great selection. He was always willing to help out a fellow pin-thusiast. And if you gave him particularly nice pins, he might even give you one of his special Scoop Sanderson pins! These special pins cannot be purchased anywhere and are only given out by Scoop himself. My own Scoop Sanderson “Continuing the Tradition” Pin – can you tell where Scoop personalized it? When I asked about Scoop, the cast member I spoke with said she wasn’t sure why he stopped except that pin trading had died down and that Disney was aware of all the issues arising from scrappers and fakes being traded in the parks. She also said Disney was trying to find some way to address it. I hope the Disney solution isn’t to completely stop pin trading or to drastically reduce their support for pin collecting in the parks. The recent hype over the Diamond Countdown pins by themselves should reassure Disney that there are many pin-thusiasts still out there who love these souvenirs. My daughter and I have been collecting for about 5 years now and still enjoy it. 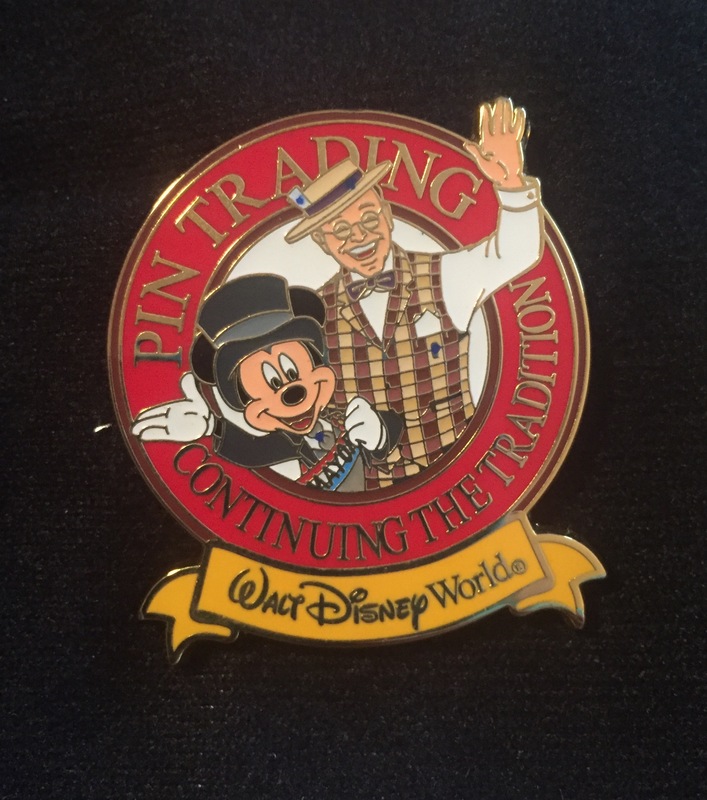 Scoop may not be trading pins any longer, but if you get the chance, go up and thank him for being such a great ambassador for pin traders everywhere. He deserves the recognition. Curious about how to buy pins safely on eBay? Read out handy guide! How sad! I just barely got into Pin Collecting and eventually started trading in the future. I have hopes to have my kids start their own collection and trade at the Park when they get bigger. Especially to help with my daughter’s socializing and autism. Hopefully Disney can find a fast solution. Pinner’s Life! The good news is they still do plenty of trading at the parks with cast members and they usually have big pin events at least once a year, sometimes more. If you live in Orlando or near there, WDW has some great pin events! Disneyland has some too and I just found out that there will be a pin quest this year at the park!